An inviting display on a hot summer day. It’s a hot summer’s day and you just picked up a mouthwatering bottle of Riesling from your local liquor store. You’re itching to uncork it and enjoy its refreshing taste but there just isn’t the time to wait around while your bottle chills in the fridge. Luckily, you read this blog and prepared for the moment this should happen. A great way to quicken the cooling process of your Riesling is through the convenience of ice cube trays. For those who are worried about your wine getting watered down, have no fear! 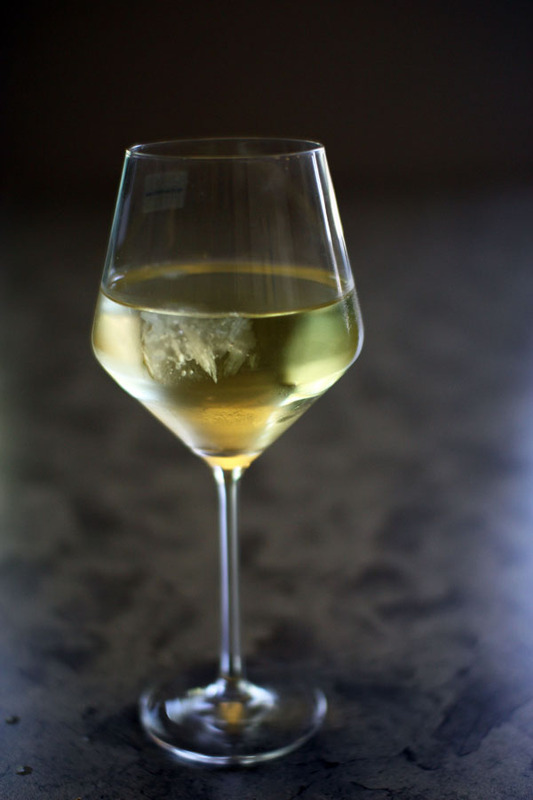 You don’t have to use ice cubes – Riesling can freeze. *Keep in mind that Riesling ice cubes will not freeze to a hard state like your typical ice cube because of the alcohol content, however it is solid enough to lift out of the tray intact. I found that 4 ice cubes measured to a ½ cup and adjusted my recipe accordingly, experimenting with four different flavours. I added food colouring to distinguish between flavours, which was also a crowd pleaser. The mint leaves added to aesthetic appeal, but keep it mind it does add an herbal flavour to the cube.